Look in the ammunition section at the top for "sticky's"
I run n310 4.2 w/ 185 jhp for 50 yard and 3.6 n310 w/ 185 jhp this is for my ball gun. Slide mount scope mount won't run the light 25 yard load for me. For factory stuff zero sells 185jhp, same with Atlanta arms and asym. Could also run the federal match 185 jswc. I've been using 4.5 grains of Bullseye with either Zero or Hornady 185 JHP bullets, since they changed the rules. I shot a 271-5x with that load at the OKC Games in the team match. 185 JHP, 4.5 grains of N310 works for me. I use this for ball and for the long line in my wad gun. Since I'm confused by the "hardball" in the header and the request for lighter recoiling loads so I'm just going to jump in. I got my distinguished badge shooting full power 230gr. loads and still think that's the way it should be. It may be vain but I'll always consider those ones who earned it that way true service pistol distinguished and the others, well, not so much. Anyway, my go to load actually uses new or once fired Winchester cases, a Sierra 230 gr. matchking, Winchester primer and a 5.2 gr dose of Titegroup. Yes, that is hot. Max load in the Lyman and Hornady manual, over in some others. Thing is, it shoots. Groups very nicely at 50. I've shot a 96 slow with it. SSgtG, how do you feel about those who legged out using the M9? I thought the EIC matches specified 230 gr "factory" rounds. kjanracing wrote: I thought the EIC matches specified 230 gr "factory" rounds. With the 185jhp, 4.5-4.8wst on the long line and 4.0 wst short line will treat you well. 12lb spring should cycle both with ease. It was changed last year as per C. M. 185gr JHP seems to get the best results, nice to shoot too. I am not quite sure about JSWC. Jack H wrote: I am not quite sure about JSWC. Tim:H11 wrote: I'm gonna shoot my first hardball (service pistol? EIC?) match later this month. Currently my plans are to shoot factory Ammo but I'd like to eventually come up with a lighter recoiling jacketed load that's accurate enough for this game. I don't want to fall into having to buy multiple powders though and what I have and use regularly is Bullseye powder. I wonder why they threw in "wad-cutter" in the second sentence. Non-jacketed or lead would have been sufficient. And more clear. 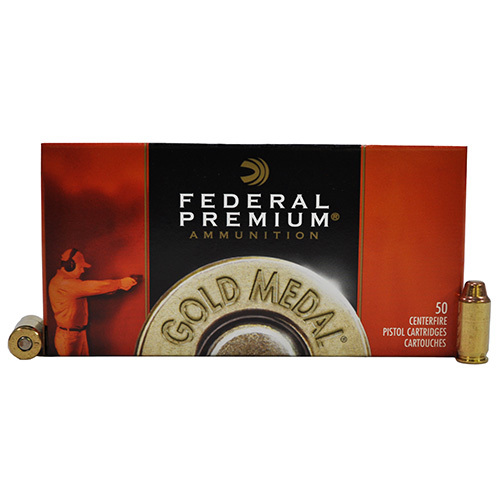 I saw several service members shooting the 185gr Federal Gold Medal Match FMJSWC at Canton and Perry. Wobbley wrote: SSgtG, how do you feel about those who legged out using the M9? The question makes me smile. When the 9mm was allowed I remember old heads saying the Distinguished badge won with the 9mm should be smaller than the ones won with the 45..
Not a rifle shooter but I'd bet the old high power shooters said the same thing about the change to the 556/223. In the effort of complete disclosure, my first 8 points were with the M9. Couldn't be helped, as a Marine had to complete with what they gave me. After the division match we always used 1911s. When I wanted to pursue distinguished i bought a 1911. Yes, is harder. I have 16 rifle points too, 8 with the AR and 8 with the M14. The M14 is more difficult to shoot as well. The difficult is what makes it valuable, at least to me. But time moves on, things change. It's so a reasonably free country, you get to choose what you want to shoot with. How do I feel about the M9 distinguished shooters? No doubt they are great shooters, you still have to beat 90% of the others to leg. But it is easier to shoot the M9. Their choice. I chose the 1911 because of how I wanted to feel about me. It should make no difference to anyone else how I feel about them. I went out for rifle in 1986. I did it with a 14. My first leg was at Perry in 1984; 10 points and I was above the ten point cut. At most of the regionals I attended only 2 and sometimes 3 legs were given and they issued "Special Ball" on the line. So I know difficult. All that said, I was advocating to all that the 5.56 AR platform was the way to go as far back as 1996. Sure it's easier to shoot partly because it's more accurate. A properly prepared AR will outshoot a properly prepared M14, every time. It doesn't matter what pistol you or ammo... You still have to be in the top 10% of the pact, meet the minimum required score to earn a leg ,and get a hard leg. Better to ask "Was the competition better back in the day"
I suspect rifle is a bit more of an equipment race compared to Springfield's and M1A1's.